All round development means that the child is ready for any challenges in life. Getting good grades and studying hard doesn’t make any child perfect. Education can provide us with a man who knows something and a round development can provide us with an ethical man who knows how to put that something to a good use. We all are aware of the competitive world and the cut throat competition prevailing. No parent would want to see their children lag behind. What is to be taken in consideration here is all round development of the child, and not only child is extravagant in academics but all round development of all the skills of life of a child studying in a school. In this case mere infrastructure and eminent faculties wouldn’t help. Participation of students in every field every activity is the dire necessity to develop tolerance, perseverance and team spirit. We have a well defined constructive approach to help children discover their field of interest and thereafter succeed in that particular field. New teaching methodologies, STEM classes, Smart classes’ aid to strengthening the learning abilities by creating a hand on and visual learning experience. Such innovative methods of teaching not only increase the grasping power, observation and reasoning, but also groom the child by developing skills of expression. Smaller size class is provided to cater to the all round development of the children. The main aim is to let the children enjoy the process of learning and participation so that they learn faster and inculcate leadership qualities amongst them. It is important to help the children identify their abilities early in life so that their full potential can be realized. For the all round development qualities such as leadership, problem solving abilities, interpersonal communication, handling peer pressure etc. should be focused upon and guided. A creative and constructive approach to the curriculum should be maintained. 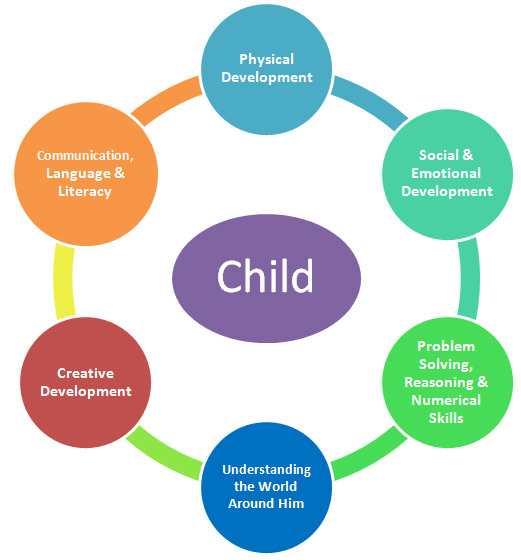 Focus should be on all round development of the child, besides helping them develop an interest towards learning and reasoning along with grooming them with good behavioral skills and developing a positive attitude towards life so that they can grow into responsible citizens, serve the country and help in the upliftment of the country.